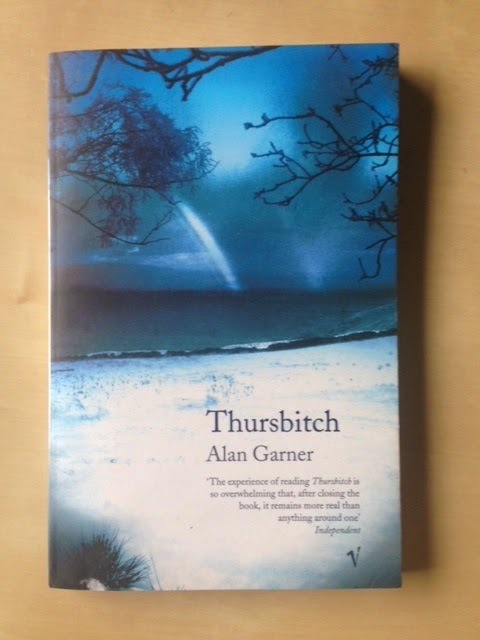 I have many lovely books with blue covers but here's a particular favourite, Thursbitch by Alan Garner. Alan Garner is perhaps best known for his children's books - The Weirdstone of Brisingamen, Elidor, The Owl Service and others - but this is one of his adult novels. It's very short, sometimes incomprehensible, but always brilliant. Set in the Peak District, it's a strange and often unsettling dip into psycho-geography, shamanism, folklore and the flexible nature of time. There are times when it reads almost like an extended prose-poem. I once read an interview with Alan Garner in which he remarked that it takes him so long to write his books that he once worked out that his average output is a mere 14 words a day. Frankly, when each word is as perfectly placed and considered as this, I'm amazed he manages as many as 14.